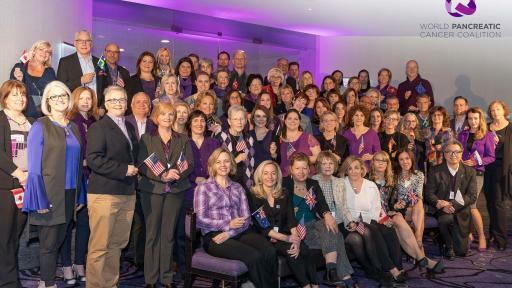 Manhattan Beach, Calif. – (Oct. 26, 2017) – In honor of World Pancreatic Cancer Day on Nov. 16, people around the world will come together to Demand Better in the fight against the world’s toughest cancer, starting with earlier diagnosis. 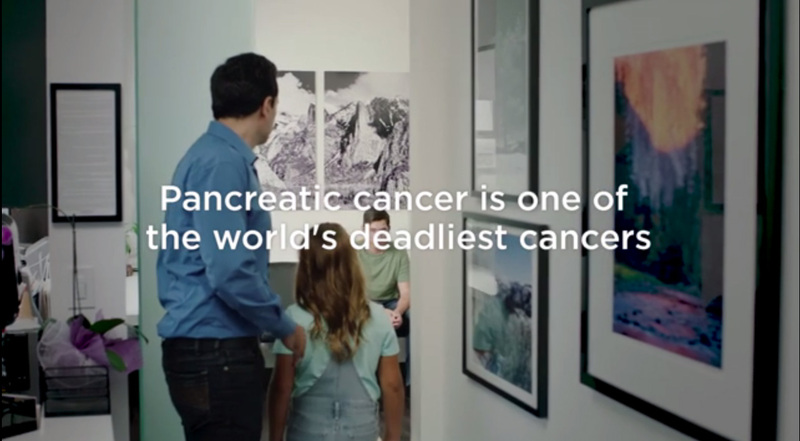 The annual one-day campaign is an initiative of the World Pancreatic Cancer Coalition, which is comprised of more than 60 organizations from 27 countries on six continents. Demand Better. For Patients. For Survival. 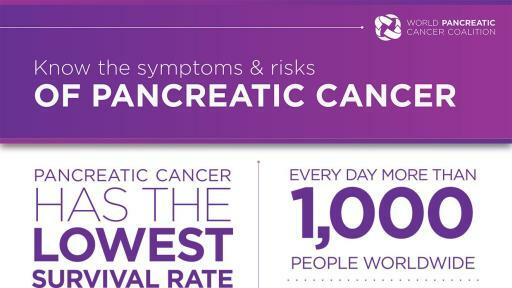 Every day, more than 1,000 people worldwide will be diagnosed with pancreatic cancer. Of that, an estimated 985 will die from the disease. 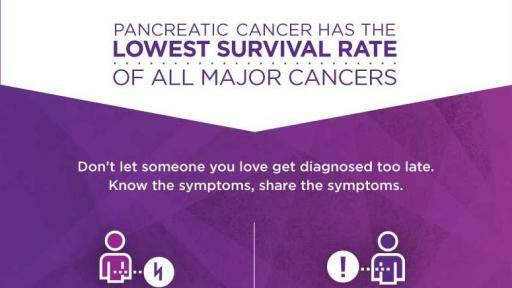 Additionally, pancreatic cancer has the lowest survival rate among all major cancers, and in nearly every country, it is the only major cancer with a single-digit five-year survival rate (2-9 percent). These stunning figures are not merely statistics, they represent family members, friends and colleagues on every corner of the globe. There is currently no screening test or early detection method for pancreatic cancer, and though research is being conducted in these areas, knowing the symptoms and risks remains the key to early diagnosis. Research shows that patients diagnosed in time for surgery are more likely to live five years and beyond. To learn more about the symptoms and risks, see our symptoms and risks infographic. 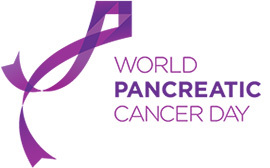 World Pancreatic Cancer Day (WPCD), a day dedicated to raising global awareness of pancreatic cancer, occurs on Nov. 16 during Pancreatic Cancer Awareness Month. 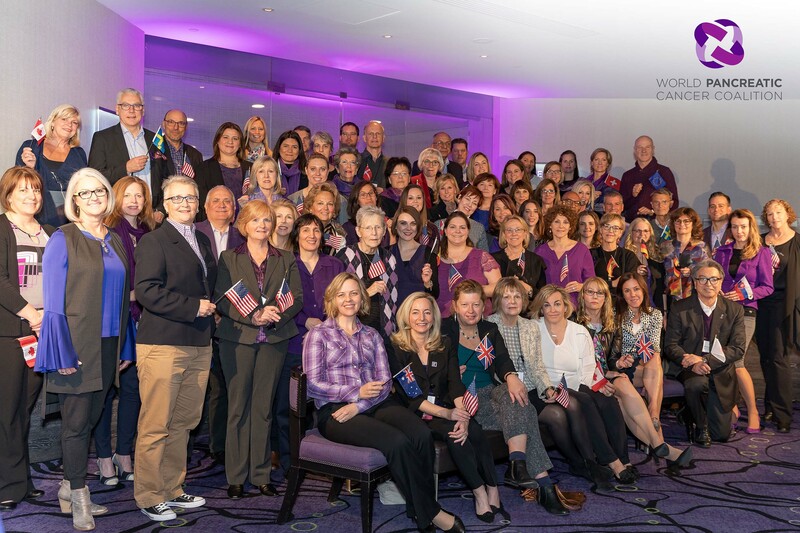 WPCD is an initiative of the World Pancreatic Cancer Coalition, bringing together more than 60 organizations from 27 countries on six continents to raise awareness and inspire action. 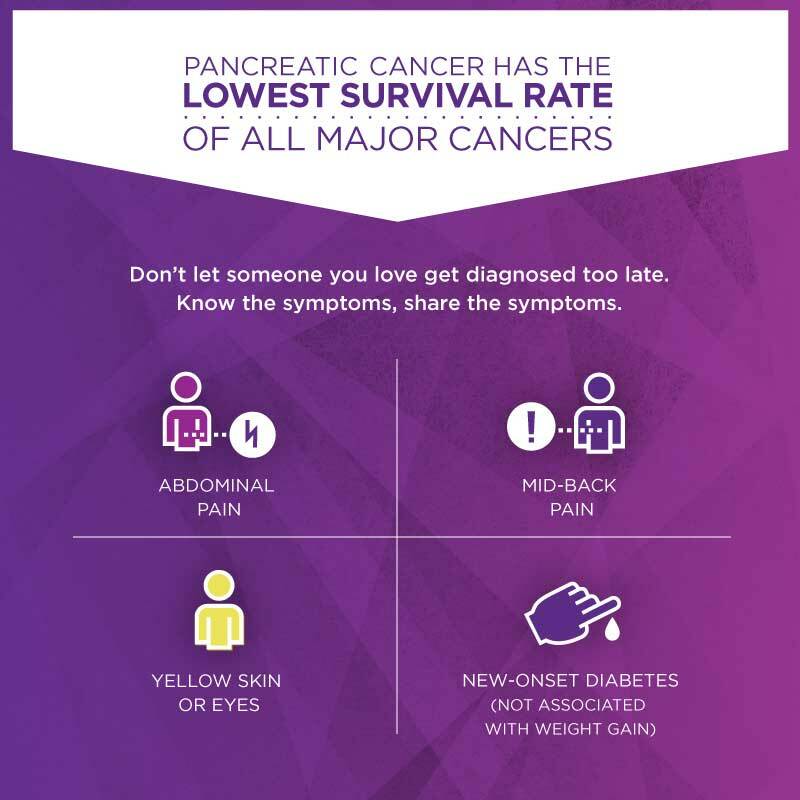 The goal of WPCD 2017 is to drive awareness of the symptoms and risks of pancreatic cancer and the urgent need for earlier diagnosis to improve patient outcomes.